To download and print the chart in PDF format click here . Here is another variation of the pattern, I added the text EASTER , frame of 1/2 stitches and more details. 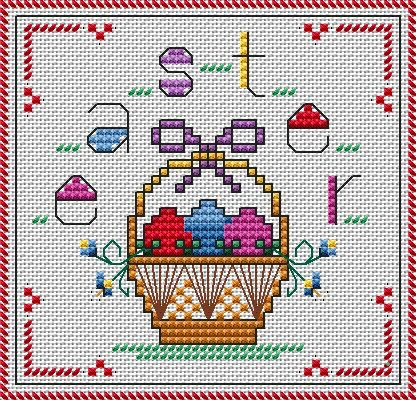 The chart will be added soon on our facebook page. Feel free to visit us ! 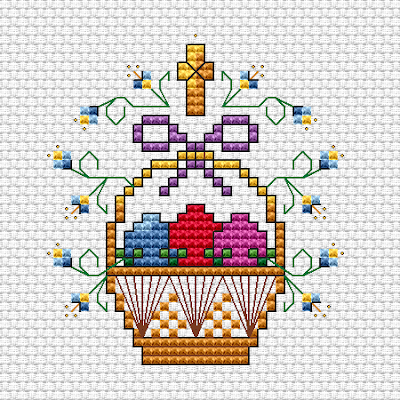 Could you tell me what you mean on the first Easter Basket pattern where it says Beads DMC743 (the tops of the flowers)?